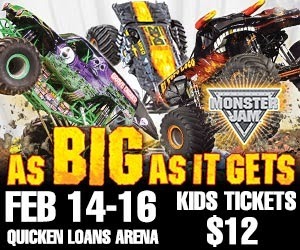 i have a three year old son who would love to go see monster trucks! My husband, son & daughter would be joining me if we win!! My son, daughter, and wife! They all love Monster Jam! We've wanted to see the Monster Trucks for years! As the daughter of a mechanic, this would be so much fun to experience. Our 9 year old son and 10 year old daughter would love it too. My foster son that we are adopting and my hubby really want to go!